Tijuana, Baja California – Mexico continues to be a major focus for hotel and resort development for both local and international hotel brands and operators, due to rapidly accelerating demand during 2016. This also includes integrated Mixed Use projects, focused on a mix of residential, retail and hospitality. The Caribbean and Mexico Hotel & Resort Expansion Forum gathers high-level executives from Government Developers, Investors, Regulators, Construction Companies, Architects, Solution Providers, Financial Institutes and Associations in a focused two-day program. Panel presentations will share investment strategies, operations efficiency and updated technologies. The event is scheduled from 9th-10th June, 2016 at Hotel Sheraton Santa Fe, Mexico City, Mexico. Mr. Hoekstra is the national Director of the Mixed Use & Capital Markets Division at NAI Mexico. Mr. Hoekstra will chair: Mixed Use Development: the Next Generation. 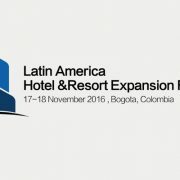 This panel will host recognized LatAm experts sharing forecasts and strategies for integrated hospitality, residential, and retail uses. Mr. Hoekstra leads teams of experts managing strategic locations throughout Mexico, providing financial and the brokerage advisory. Wearing shaggy beards, wire-rimmed glasses and T-shirts with silk-screened start-up logos, they look like your average 20-something coders. The young men huddle in the midday sun, smoking cigarettes, sipping coffee out of paper cups, scrolling through iPhones. Behind them sits a bustling co-working space with 850 tech workers and dozens of start-ups building apps, tweaking online experiences, pumping out design or pay per click agency. The vibe feels much like Silicon Valley. But they’re nowhere near Northern California. They’re hundreds of miles south, in Guadalajara, Mexico’s “Digital Creative City,” the capital of the state of Jalisco, where government subsidies and affordable talent attract foreign tech giants. Many places claim to be the next Silicon something. New York as Silicon Alley, Los Angeles as Silicon Beach. None faces the same south-ofthe-border scrutiny. Yet, there is a burgeoning scene in these agave-lined hills.